Today I recall with great fondness the leadership of Ntate Nelson Mandela. Often, in different ways, he taught us that the greatness of life comes from picking oneself one when one had fallen. One of his most telling remarks was: “Do not judge me by my successes, judge me by how many times I fell down and got back up again”. This is how we must view our own situation. We must pick ourselves up and become the formidable political force we were meant to be. As Congress of the People we have had our trials and our tribulations. The future is where we must now focus on. That is why we are gathered here to examine the architecture of our party and its ideological positioning in the South African political landscape. These are the two imperatives that we will concentrate on. The political and economic situation in our country have taken a turn for the worse. The confidence of the people has been shaken like never before. Today our delegates will have much on their minds as they address the question of modernization and the use of technology to make participatory democracy a living reality. We propose to go where no party in South Africa has gone before. Our intention today is to create the mechanisms that will allow every single party member to have an unfettered say in the election of party leaders and in the formulation of policy. We are going to make certain today that there is no gatekeeping and that the use of slates is made an impossibility. We want effective participatory democracy. We want a party that belongs to the people to take forward the aspirations of the people. There must be no possibility of its being hijacked by politicians for advancing their narrow ambitions. As we look at the architecture of our party we will seek to ensure that maximum participation by every member of the party is possible. Many South Africans are cynical about politicians especially after the Nkandla scandal. We must return politics back to the people so that the ideal of the people governing themselves is realized. After World War ll the Nordic countries knew that democracy was secure. They wanted to add economic security for their citizens to make the circle complete. Thus social democracy was born. The Nordic countries distributed the national wealth evenly. They made high quality schooling, high quality health care and high quality housing available to all their citizens. The Nordics are some of the happiest people on earth enjoying political freedom and material comforts. In South Africa inequality is deepening. State resources are being wasted through futile and fruitless expenditure and rampant corruption. In the Free State, for example, not a single municipality had a clean audit. As resources drain away, service delivery suffers and poverty deepens. Our task is to find a new way of sharing the national wealth with all. Both BEE and BBBEE have made a handful of people filthy rich. The majority have languished in poverty. Our challenge is to make sure that the poor enjoy the dividends of freedom. Every citizen needs to be a direct shareholder in the wealth of our country. In our discussion among ourselves and with those who are well off in society, we must find a new way of sharing wealth through direct shareholding in tradable equity. If every South African is a shareholder, every South African will have the incentive to contribute to growing our wealth. Businesses will feel secure and confident to invest the money they are holding on to. If businesses were to release their savings into investments our GDP will move upward immediately. The important thing is to find a way of injecting resources into the community. Their patience, for the most part, is exhausted. They do not want a never never path to economic freedom. They want a quicker route. That is why we will need to fashion a social democracy that can make rapid improvements in the lives of people. At the same time, the social democracy we advocate must locate itself within the context of globalization. Even the African continent is now creating a transnational trade union. Our task today is to seize the future. For us to lift ourselves and become a dominant player in South African politics, we need to think brave new thoughts and go where no party has gone before. We need a party of many leaders rather than a party of a single leader where the leader becomes a cult figure. Let us slay such notions where power is centralized and decision making is impeded. Let us form a party that acts quickly, absorbs new ideas easily and works with the people in their true interest. I trust that you will revel in the challenge of altering the architecture of the party and shaping its ideology in such a way that social democracy will have a new meaning and a new dimension. Finally, the Local Government Elections are just around the corner. That is therefore the biggest task confronting us here in this room today. These elections are like the Comrades Marathon, not a quick sprint. We know that there is considerable movement in this regard in our provinces. I am aware that the election machinery in most of our provinces have been oiled and made ready. We must have the legs to carry on running for a long time. The process of identifying quality candidates is well under way. If voters believe in their candidates, they will definitely support our candidates. Our task is to be proactive and to engage with communities. Not a single ward should go uncontested. Forward with the Congress of the People. Forward! Fortune knocks only once at the door! Cope garnered more than a million votes in the general elections after having broken away from the ANC. Soon thereafter internal squabbles followed due to leadership disagreements which alienated their voters. Some of their voters went back to the ANC and others went to the DA and other smaller parties. Cope squandered a rare opportunity, they had their chance & blew it! Cope can be able to turn things around only if they can have new young visionary leadership. There is no way that things can change for good in Cope with the old guard that has failed to give leadership to the party. Cope leadership is factional to the core. Factionalism breeds chaos in any political party. 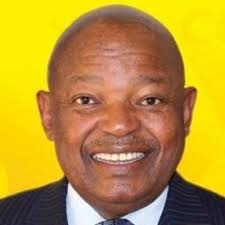 Cope under the leadership of Mr Lekota is going no where. He is bigger than the organisation and whatever he says goes and his choir of praise singers will defend his decision even if its wrong. This phenomenon is precisely what is happening in the ANC. He is good in defending the Constitution of the RSA but the same cannot be said about defending his political party Constitution. He lacks listening skills and he does not tolerate a dissenting view and he is very bossy. In the Eastern Cape he imposed a parallel provincial structure though there was constitutional structure, this he did because he was purging all those that had a different view from him on the issue of leadership in the Cope’s National Congress in 13 January 2014. I hope and pray that his collective will be bold enough and tell him that he must allow democracy to reign in the organisation. In Cope you have individuals who are occupying more than three positions of leadership. The good example is one fellow in the Nelson Mandela Metro. This individual is a regional secretary, national secretary for membership, councillor and public servant drawing two salaries from one government.